"Couture" AJ1 to debut this Saturday. 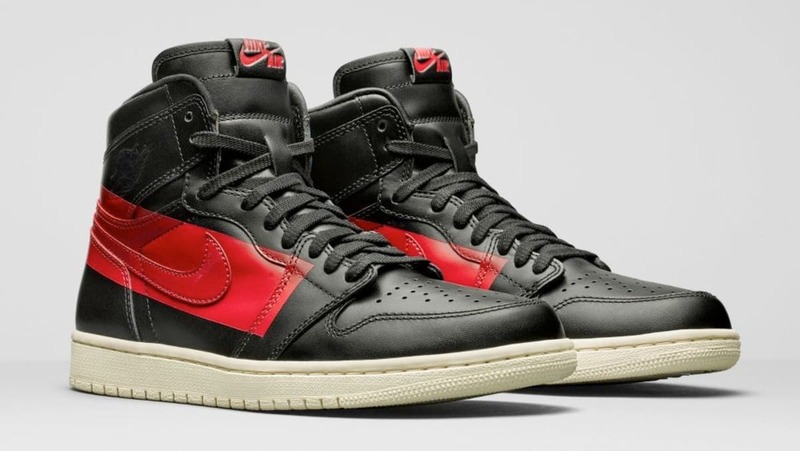 Last week rumors surfaced that Jordan Brand has plans to release an all-new Air Jordan 1 colorway later this month, inspired by the NBA's historic decision to ban Michael Jordan from wearing red and black sneakers back on February 25, 1985. The kicks in question will reportedly launch this Saturday, February 23, although the inspiration behind the design is no longer being billed as a "Banned" release. Instead, Sole Collector reports that this unique Air Jordan 1 has been dubbed "Couture," as a nod to the craftsmanship of Italian luxury cars. 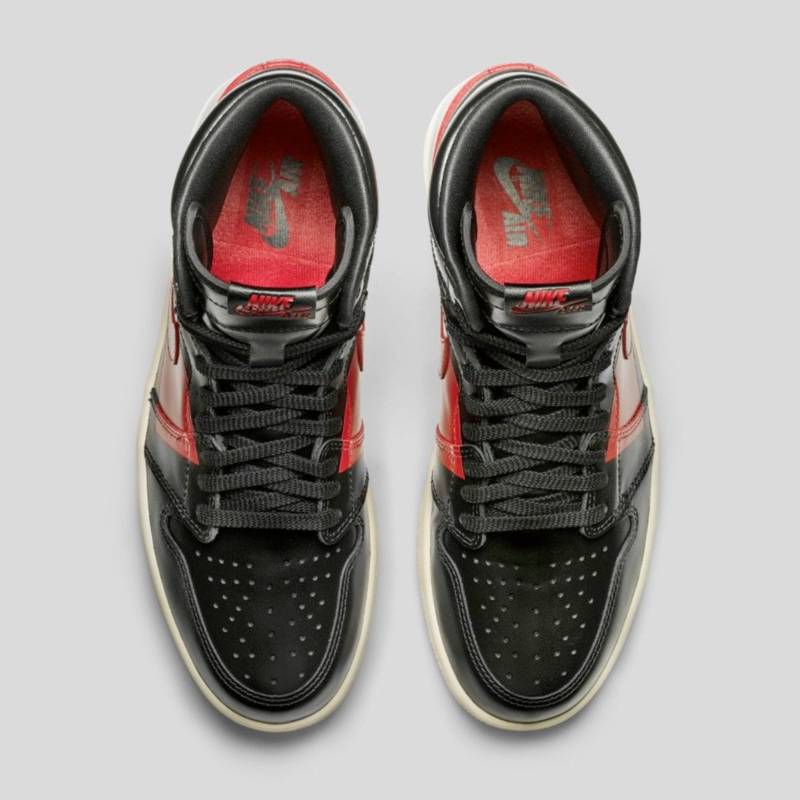 As seen in the latest batch of official images provided by J23 App, the luxury-inspired 1s sport a smooth, black leather upper highlighted by a thick red stripe that wraps around the heel and is stamped over the sneaker's iconic Nike swooshes. 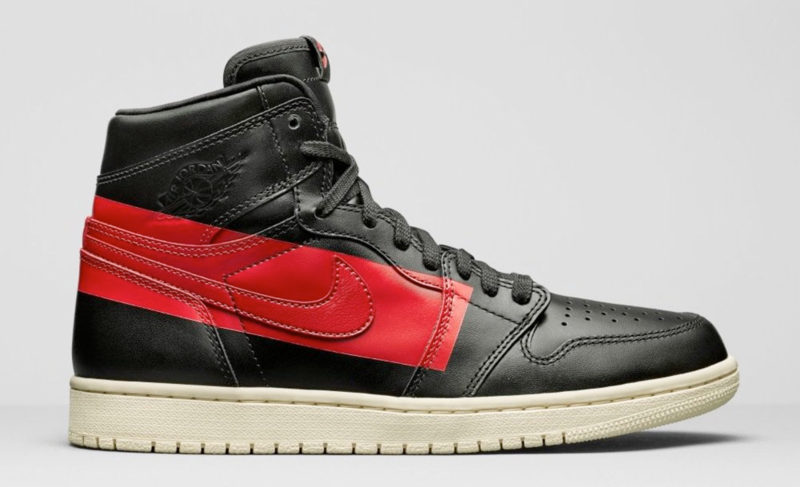 According to sneaker source @Py_Leaks, the cut of the "Defiant" Air Jordan 1 High OG is slightly higher than your traditional Air Jordan 1 High OG. 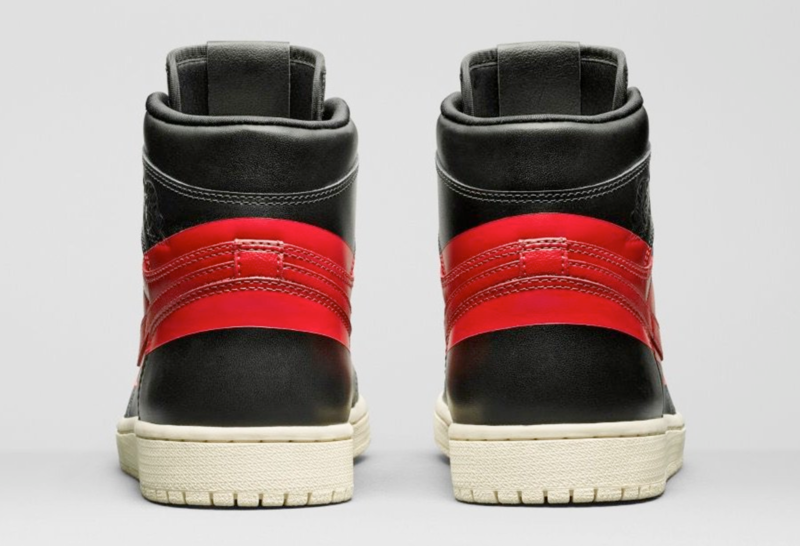 Furthermore, it is believed that the kicks will retail for $175, a tad more than the familiar $160 AJ1 price tag.